Imagine not getting too amped up over the back and forth price action in FX over the last few weeks and making silly impulsive trades? It’s so easy to get ‘sucked in’ to whatever the flavor of the day is thinking that that is the next NEW TRADE. Identify clear price levels where trades can be entered and exited. Good morning traders. I hope all of you have had an ample serving of patience and perseverance this morning because price action is challenging in here. While there do appear to be some very solid patterns emerging, they are not taking shape fully….yet. 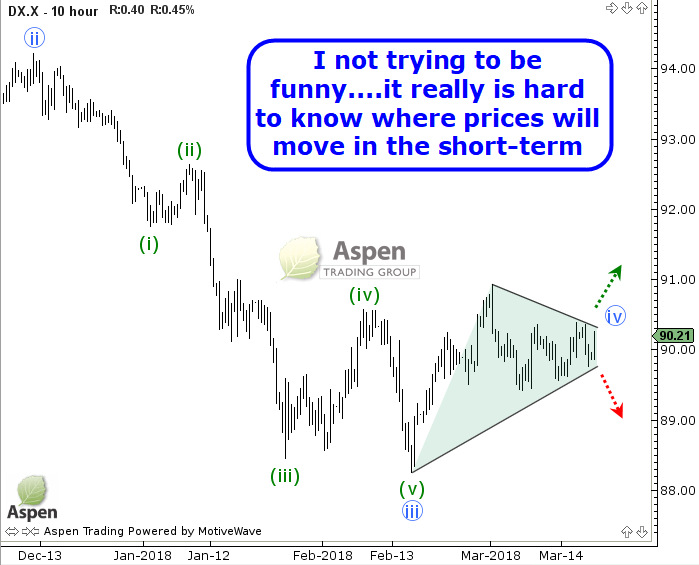 There is no better place to start than with the Dollar Index (DXC). Guess what? It is OK for us to not know exactly where prices will unfold in the very near-term. Remember, just because the markets are open, does not mean there will be a set-up on that day. 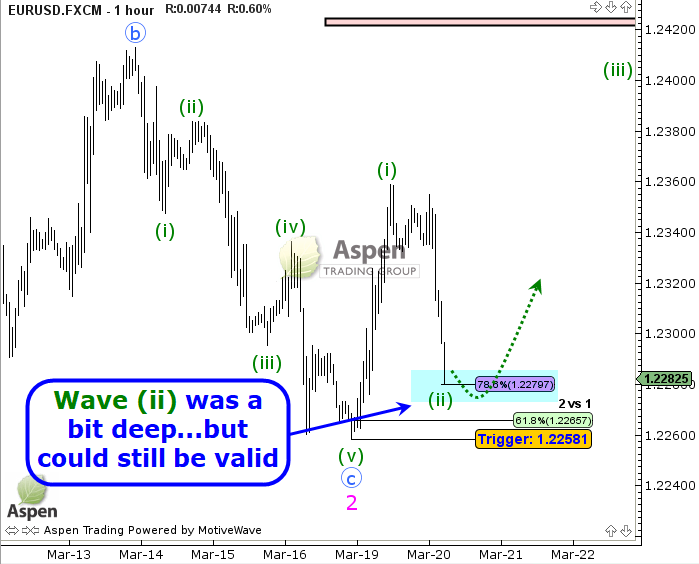 Naturally EUR/USD is following a similar erratic path. And while near-term price action may be challenging, we do have VERY CLEAR levels that tell us if taking a bullish stance overall is wrong. That level would be 1.2154, the March 1st low. But for now, I want to try and get a handle on current price action.